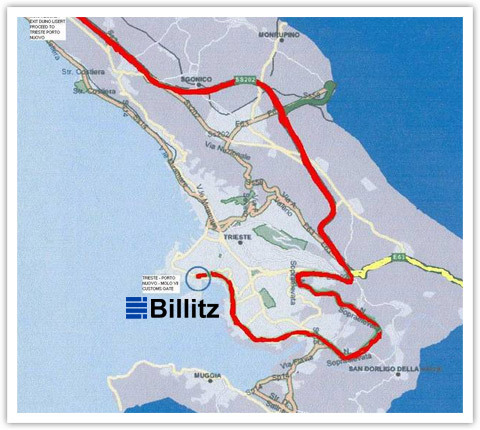 After exiting A4, continue straight towards LISERT towards TRIESTE _ SLOVENIA, and follow indications for “PORTO – MOLO VII” (Aprox. 30 min. drive after you exit A4 Motoway). Cross at border FERNETTI SEZANA, after Customs Point, follow for Trieste “PORTO – MOLOVII” (Aprox. 20 min. drive after border). 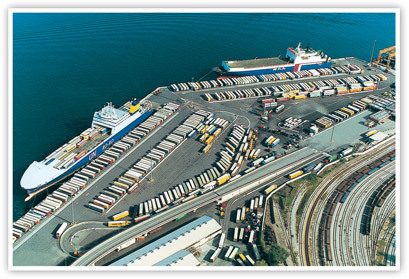 DO NOT access Trieste City Center to reach port, as you will be locked in city traffic! 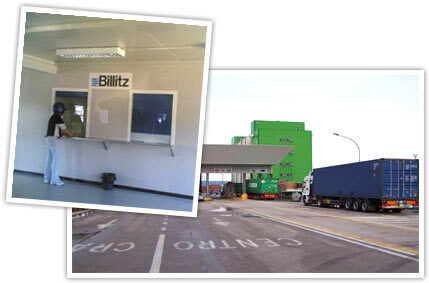 This is the entrance of TRIESTE PORT at “PORTO MOLO VII – Pier 7"
You must enter from this gate. Show the Ata Carnet to Customs Police. We are inside. Pass the Secuity Check, park your vehicle. We are at the entrance on your right hand side.